Looking for microscope reviews and ratings? Welcome to the wild world of Microscope Detective, the site that emphasizes fun and a sense of wonder. If you're here then you have something special in common with us. We're all curious! From that magical moment your inquisitive young mind realized a microscopic world beyond what you could see, you've remained a detective. Someone interested in the world around you. Regardless of your age and occupation, your mind still thirsts. Maybe you just want a USB microscope for your home, or perhaps you're searching for the best kids microscopes for your little one. Whether you're a Mom, grad student, dentist, or pathologist, we strive to provide you with the best microscope reviews possible. We know that buying a microscope can be a confusing purchase. With so many different brands to choose from, it's easy to get lost in a maze of options. Our goal is to provide you with accurate and objective reviews so you can find the best product for your needs. We understand that you want to spend your time and energy doing research with your microscope, not for it! 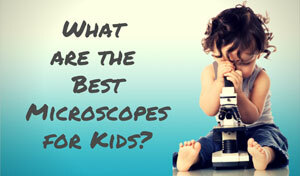 A detailed look at the best microscopes for kids. Pocket and USB microscope reviews for those looking for more portable options. An investigation into the rapidly growing world of microscope cameras. Information on more advanced machines from digital microscope reviews to stereo and even electron microscopes. Microscope reviews and ratings of the most popular brands such as Celestron, Olympus, Nikon, OMAX, Zeiss, and Leica. When we find a lesser-known brand that's still a quality product at a good price, we review that as well. Recommendations for microscope accessories including slides, bulbs, and other parts too. Various articles on the history of these instruments, how to use them, and other fun facts about microscopy. Who said that science was boring? It's going to be interesting, thorough, and helpful. Most of all, it's gonna be fun! 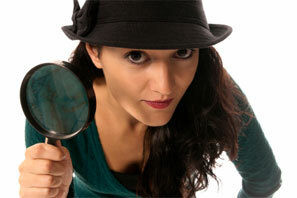 Think of us as your personal private detectives sleuthing our way to the best microscope for you. So whether you're looking to purchase something for the lab or for your kids, we have the information you need to help you make the right decision. Below are some of the most popular articles on this site. These are a great place to start if you're hunting for a specific topic. My First Lab Duo Scope Review - In this article we put the My First Lab Duo Scope from C&A Scientific through its paces and liked what we found! 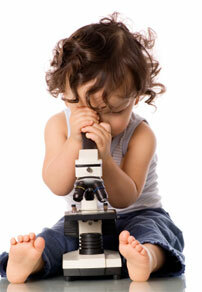 This is one of the best microscopes for kids. TK2 Scope Review - Here we get up close and personal with the TK2 Scope from Thames & Kosmos. 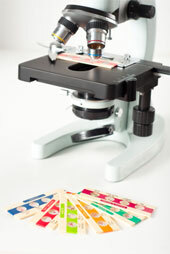 Another excellent kids microscope set. Safety Basics for Microscope Use - Using a microscope isn't hard, but there are some safety rules to observe. Here we'll teach you important safety tips. Making Microscope Slides - This article tells you how to make dry mount, wet mount, and prepared microscope slides. Essential reading for scientists of all ages. Disadvantages of Electron Microscopes - Many people think that electron microscopes can do it all, but there are some drawbacks. Read more about them here. What Is a Dark Field Microscope? - Just how does one view a translucent specimen? Not with the typical amount of light on a clear background! Enter dark field microscopy, a fun and fascinating way to view certain specimens. How to Draw a Microscope Slide - In the age of digital cameras, you may think it's not helpful to learn how to draw what you see through the eyepiece. Not so! This article will teach you how to do it, regardless of your level of artistry. Olympus BH2 Review - Olympus no longer makes the BH2, but many people still have and love them. Here we'll go over this oldie but goodie, still popular since 1980! Konus Konuscience Zoom 1200x Biological Review - Another microscope for kids that's cheap, popular, and works well. This was our third choice after the Duo Scope and TK2 scope. Zeiss Primo Star Review - This article covers the popular Primo Star from Zeiss, a more advanced microscope for classrooms, clinics, and cytology. Best Microscopes for Kids - We present the top three kids microscope reviews, along with some worthy honorable mentions. This article reviews some of the best first microscopes based on features, performance, and price. 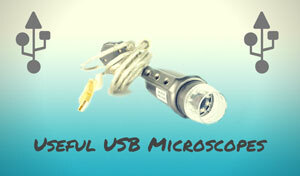 USB Microscope Reviews - A USB microscope projects an image directly to your computer screen. Learn more about these fun devices, including advantages, disadvantages, how to buy, and some recommendations. Digital Microscopes - A digital unit has many fun advantages, from high picture quality to the ability to share images. Learn more here including how they work, what they cost, and how to choose one. Pocket Microscopes - A pocket scope is an instrument designed to be small and portable. Find out more here including different types, their uses, and our recommendations for some quality pocket models. Microscope Cameras - The right microscope camera is an exciting part of professional or hobby microscopy. Here you'll find info on how they work and what to consider when buying one. Stereo Microscopes- A stereo microscope is special in that it produces a 3D image of the specimen. Learn more about these unique models here, including who invented them and how they work. Electron Microscopes - An electron model uses a beam of energetic electrons to examine specimens on a very fine scale. Learn more here including how they work, their history, the different types, and who uses them. 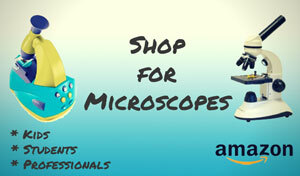 AmScope Microscopes- AmScope Microscopes are known for quality construction at value prices. 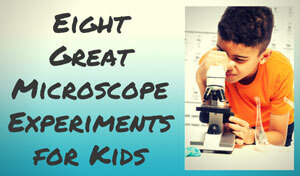 They offer a full range of compound, special, sterio, student and atomic force microscopes. They also offer a build your own microscope option. Celestron Microscopes - A Celestron product is always a reliable purchase due to high quality and low price. Find reviews and comparisons of both hobby and professional models here. Olympus Microscopes - An Olympus instrument will offer you high-quality optics with loads of features. 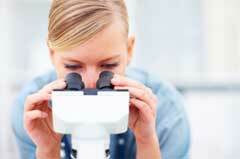 Find out more information about the company and their microscopy product line here. Nikon Microscopes - The Nikon line has had an influence in some of the biggest scientific events in history. Find out what makes these quality products so popular with students and professionals alike. Zeiss Microscopes- For over 100 years Carl Zeiss products have been synonymous with innovation and high-quality optics. Read reviews of the company's popular models here. Leica Microscopes - Leica is an industry leader when it comes to health care and research. Here you'll find out more including the history of the company and the products they offer. 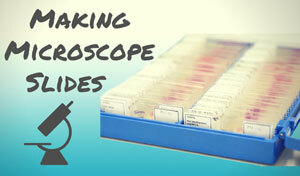 Microscopy Slides - Microscopy slides are your gateway into a whole new world. Learn about the different types of slides and how to prepare them here. Enjoy your stay at Microscope Detective!